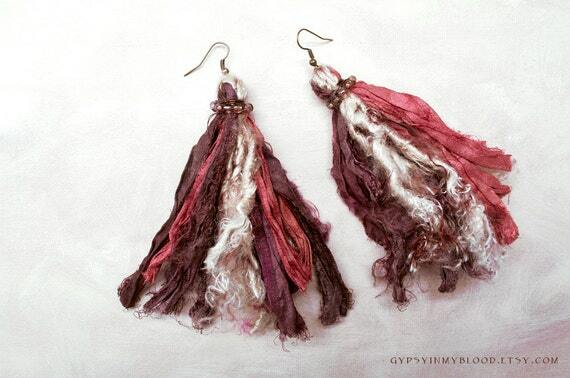 These earrings bring to mind a bedouin shepherd tending to his sheep. a glass bead top wrap. The sari silk comes from India, where cottage industry workers use leftovers from manufacturing to earn a decent living.